This brief called for an animation for an awards category opening title sequence at the annual IDI Awards, 2011. It required a theme that could reference an aspect of the current design industry in Ireland and encapsulate the ethos of the IDI itself. Since the economic climate was one of recession, and part of the IDI ethos is to encourage cross-disciplinary interaction, a theme was developed whereby designers working together could provide a solution to the recession. 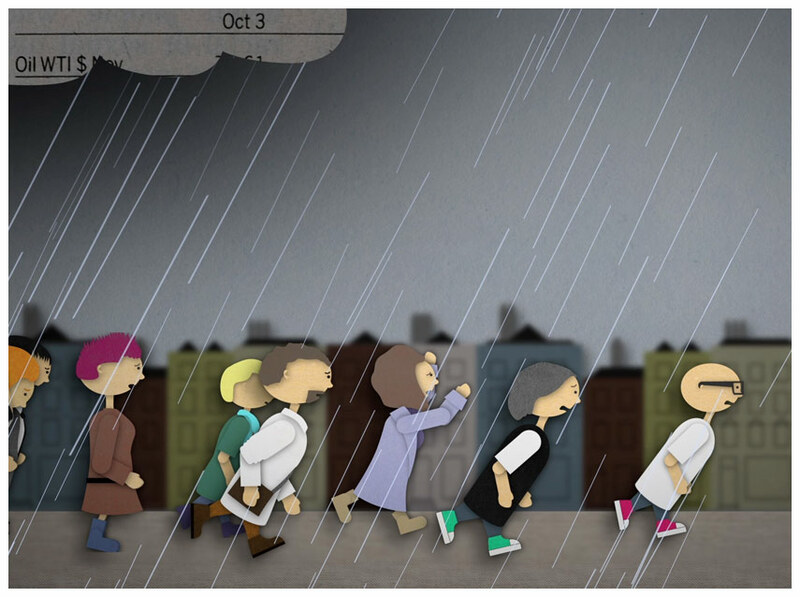 The animation tells a story of the fight back against the dark cloud of the recession. 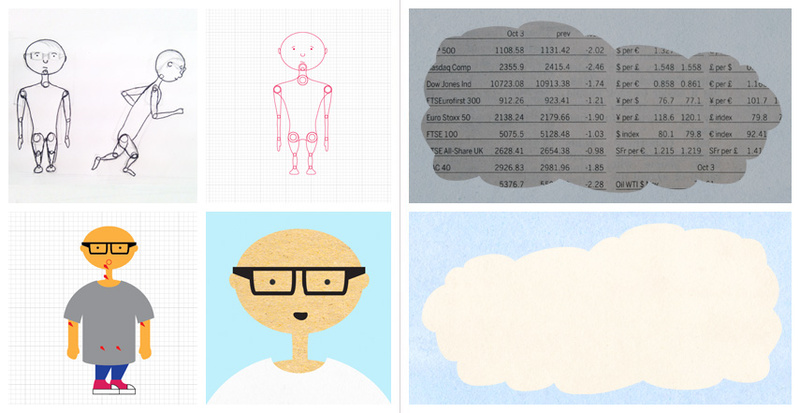 Individual designers run in panic away from the gloom of the economic cloud. Eventually one designer stops and brings the designers together to form a human tower. The top-most designer is then able to hit the dark cloud, swinging it on its axis and revealing the sunny side of the cloud, thus taking away the recession and its doom and gloom. This animation was featured during the IDI Awards ceremony as the introduction to the final category, the Grand Prix.